There are not many sports where the participants weigh double that of the average person. Where the warm up routinue is enough pints to fell a rhino. Where tattoos and gaudy gold are regulation uniforms. Where hot women parade around gargantuan men and love it. Where the crowd scream for you because you can throw a small metal spike. 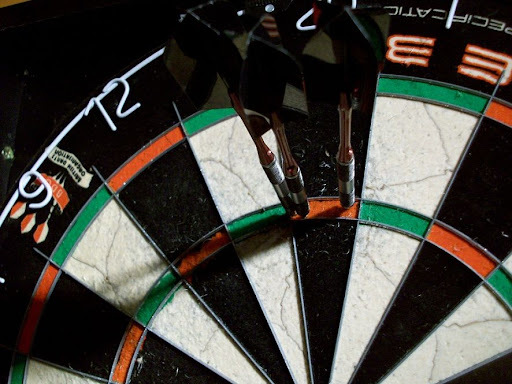 Welcome to the world of darts. 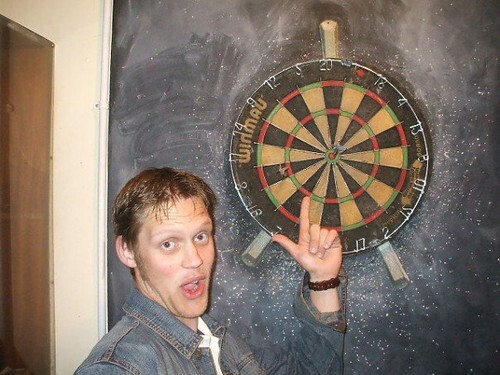 If you play darts, you generally have to practise in the pub. Therefore you will drink. Any dartsmith worth his salt has got ink. Usually shonky. 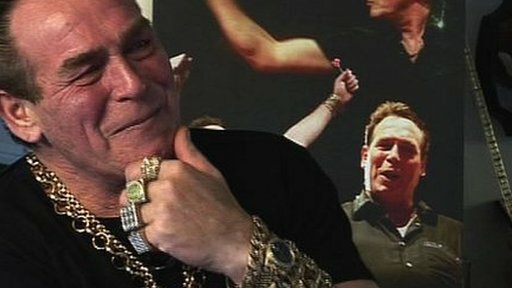 The more gold you wear the greater your standing in the world of darts. What's in common? The nickname doesn't have to have anything to do with you as a person. My nickname? 'The Shotgun'. Unfortunately there is only one way to make any money or fame from darts and that's to get good. It's surprisingly difficult to throw a small object in the same place over and over again.